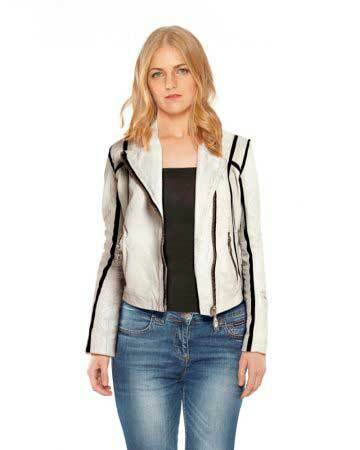 This asymmetrical zip leather jacket has a unique charm that can captivate people around you. 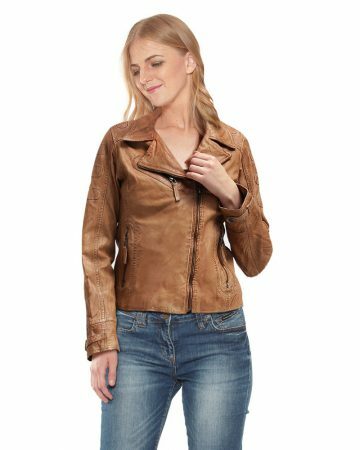 The versatility of this lamb leather biker jacket makes it stand out from the rest. 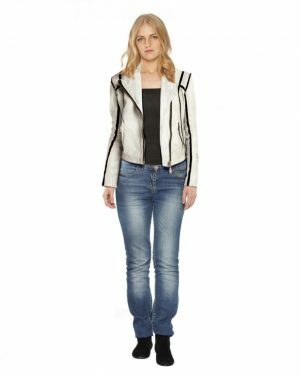 Quilted panels on shoulders and hem, wide lapels and stylish asymmetric zip fastening make it a must-have in your wardrobe. 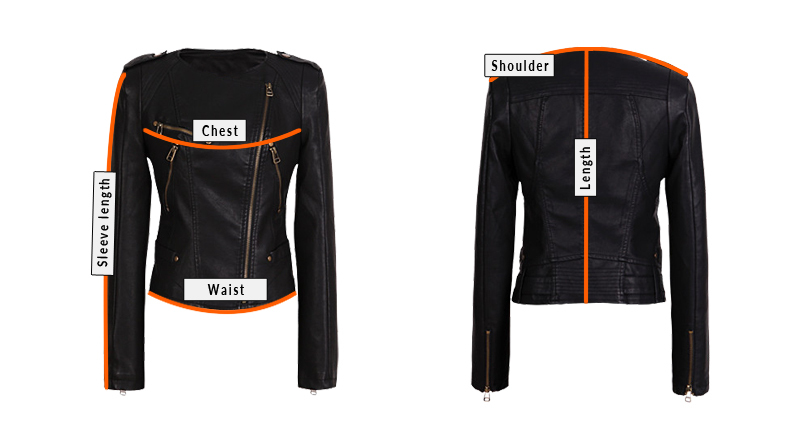 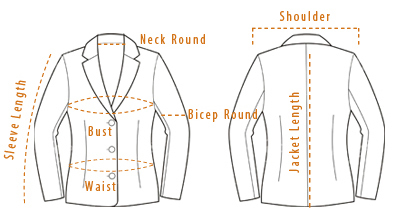 Embrace the blend of chic & tough look with this visually appealing jacket.